Albyco offers the most comprehensive package of laminating machines and laminating materials with which you can laminate professionally. We are happy to help you through the various laminating methods, the laminating / plasticising machines and the range of laminating pouches and laminating rolls. By laminating, also called plasticizing, you protect your documents from moisture and dirt. Laminated documents last longer. Laminating often gives a better contrast to your images. When laminating, a transparent plastic layer is applied to paper. The best known form is hot-laminating, in which the thermal adhesive between the plastic laminating sleeve is melted by means of heating (about 100 ° C). 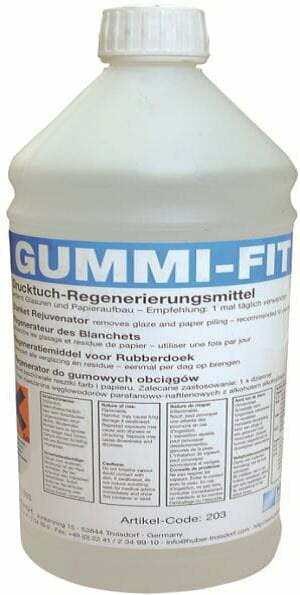 This glue penetrates partly into the paper and fills in the irregularities in the paper. This makes the bonding strong. Laminating with laminating sheets or lamination sheets is always two-sided. The paper will be inserted between the laminating sheets. An edge of laminating foil remains around the paper, usually 3 mm. This edge ensures a watertight seal of the document. We distinguish different types of laminating devices to laminate / laminate. Every goal has its own specific laminating process and material. The best-known form, paper with a standard A-size, from business card up to A2, is put in a laminating sleeve or laminate sheet. This package is inserted into a laminating machine, or sheetlaminator. Heated transport rollers allow the thermal adhesive between the paper and the plastic to fuse evenly. The rollers firmly press the melted glue into the printing paper and transport the laminating cover controlled by the machine. Laminating with laminating sleeves is used for double-sided lamination. For example, it is widely used for menus, play material or intensively used documents. The machines are easy to use and the choice of materials is wide. 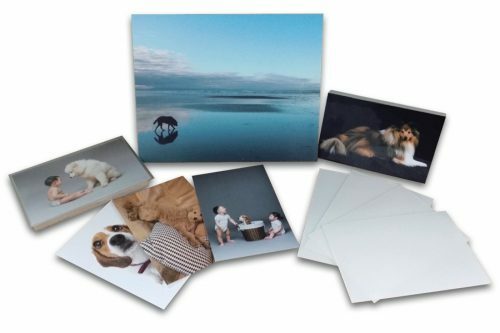 Laminating pouches are available in all A-sizes up to A2 and in all sorts of other useful formats, such as business cards and for displays with a gross A4 size. Laminating covers are supplied in various thicknesses ranging from 68 to 250 microns. 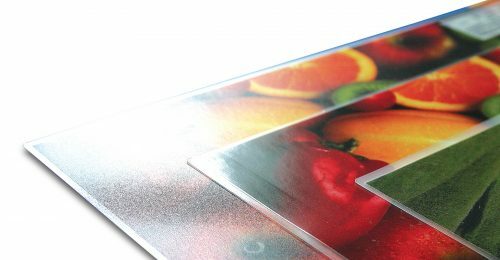 Laminating covers are available in a bright glossy finish or in a matt finish. Sheet/pouch- lamination is actually only applied warmly in practice. Cold laminating with sleeves is very rare. Laminating with laminating rolls is a completely different discipline. A roll laminator, or roll laminatingmachine, is provided with two rolls of laminating foil, one above and one below. This foil is fed through the machine with heated transport rollers. From the mounting table the sheets of paper are inserted between the first set of transport rollers, which are therefore already provided with laminating film. 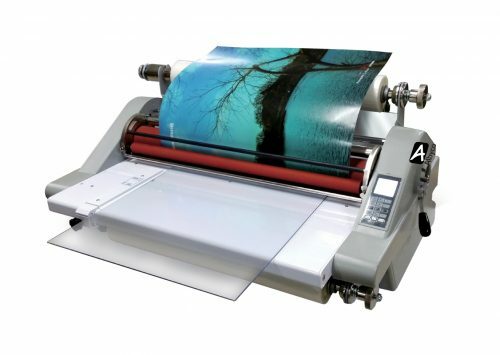 The laminating film with the paper is fed through the machine. The following paper sheets are now continuously fed into the machine, with a small gap before encapsulation. The laminated sheets come out of the machine like a very long film. These must therefore be separated afterwards. Roll-laminating is used for larger volumes of the same type, for different sizes and for large format. Roll lamination is applied both hot and cold. Warm roll laminating, based on PET, is used for indoor applications, posters, etc. Cold laminating, based on PVC, is used for outdoor use. PVC has the natural property of blocking UV light, that’s making the prints last longer. PVC comes with different glue types, each for a specific need. 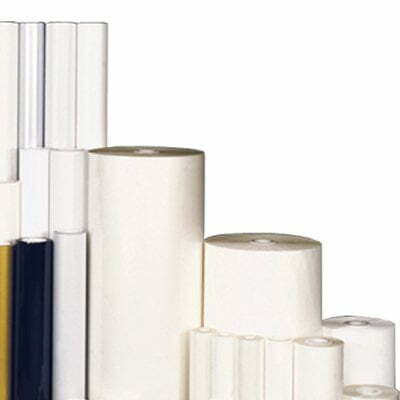 PVC laminating film is provided with a paper protective sheet. Before laminating, it is removed from the film and rolled up on a special wind-up roll on the roll laminator. 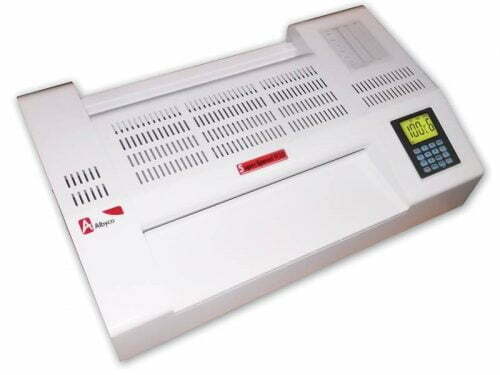 Roll laminators can often also be used for sticking on different types of foamboard. Single-sided lamination is a much more complicated process than what one generally thinks. 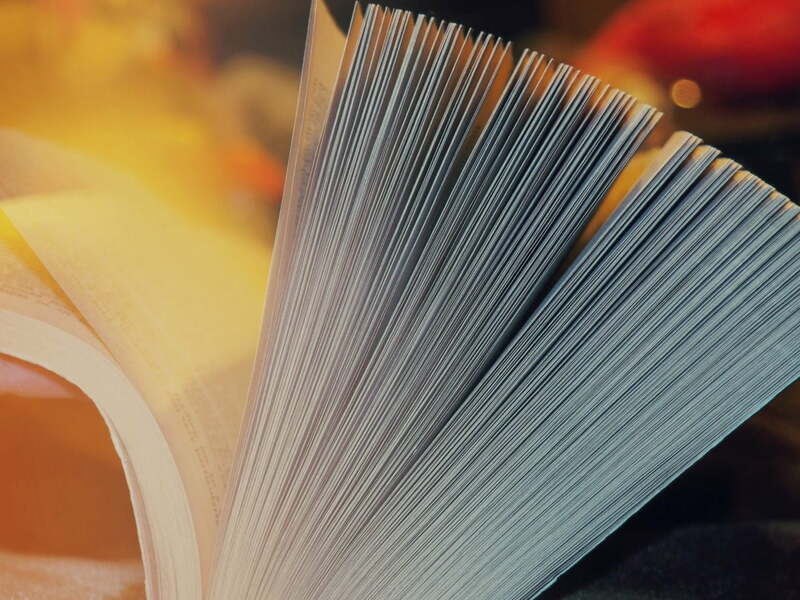 Simply applying laminating foil on one side will automatically result in a strongly curled paper, caused by the cooling and greater shrink efficiency of standard laminating foil with respect to the paper. Systems for single-sided lamination (POD laminators for Printing On Demand) are therefore a bit more sophisticated; equipped with a straightening device and sheet separation. Because these single-sided laminators are often used in heavier production environments, speed is an important factor. To ensure a constant temperature at a higher speed, induction heating is used, for example. 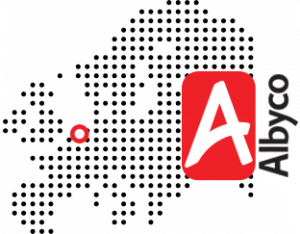 In the single-sided laminator range, Albyco supplies an innovative selection of laminating film, based on BOPP or nylon, suitable for all single-sided lamination systems and for all types of substrates, for ink and all brands of printing systems.